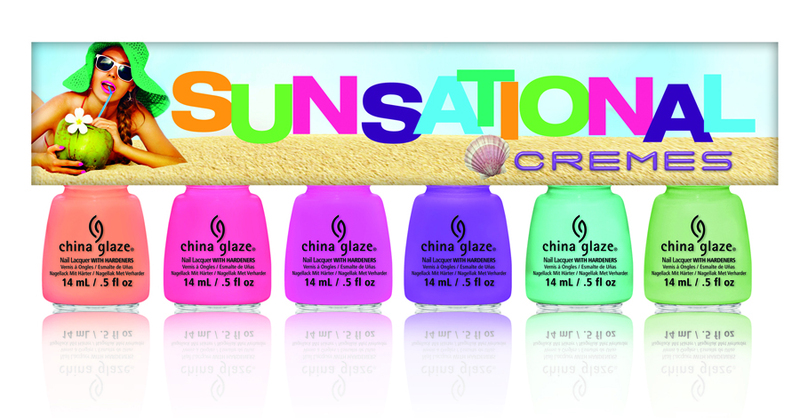 Never Enough Nails: Coming soon on Never Enough Nails: China Glaze Sunsationals! Coming soon on Never Enough Nails: China Glaze Sunsationals! I just purchased a bunch of these and I am so excited to try them!! It's supposed to be gloomy and rainy the next few days, but hopefully I'll get to swatch these soon! I bought: Highlight of My Summer, Sun of a Peach, That's Shore Bright, Too Yacht to Handle, and Keepin It Teal. I'll probably cave eventually and get Shell-o and Neon & On & On. 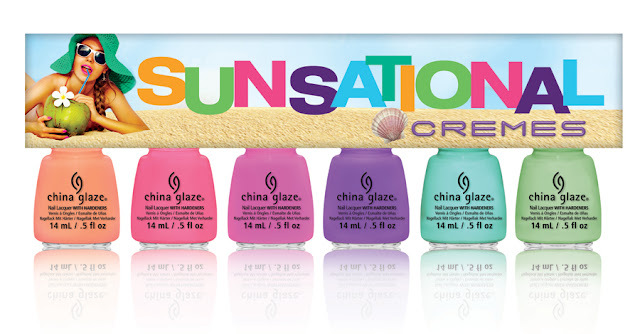 Los Angeles, CA – (May 2013): Make waves this summer with the new China Glaze® Sunsational collection. This fun palette of six brighter-than-bright crèmes and six juicy jelly polishes create a bold pop or sheer hint of color that are sure to see you through every highlight of your summer.